Brown rice contains all components of the grain kernel: the outer bran, the starchy endosperm and the nutrient-dense germ. Parboiled rice is processed under extreme heat and steam, forcing all the nutrients from the bran to soak right into the endosperm and germ. After a thorough drying process, that bran falls off and is discarded. While you may think that brown rice, which is minimally processed, is lower on the glycemic index, this isn't the case. If you're struggling to stabilize your blood sugar, you'll want to avoid foods that are high on the glycemic index -- foods with a rank of 70 or more. These high-GI foods are more likely to make your blood sugar skyrocket. The lower the GI score of a food -- 55 to 69 is medium and below 55 is low -- the greater the possibility you'll have for a more stable blood sugar level. 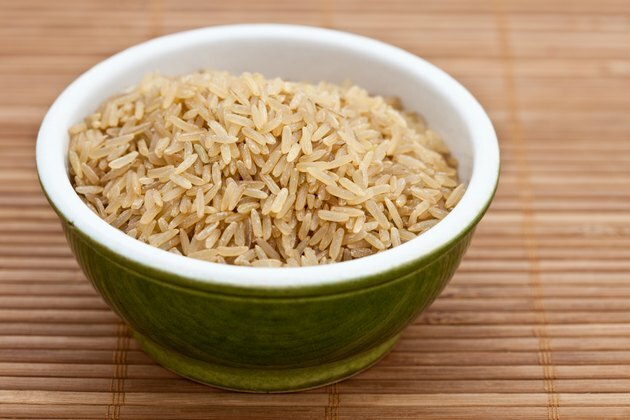 Brown rice rates moderately low on the scale, with an average score of 50, although some brands are a bit higher. Parboiled rice, which is also known as converted rice, is much lower on the scale with an average score of 38. While both foods are on the lower end of the index, since parboiled rice has a lower GI, it could be more beneficial for keeping your blood sugar low.